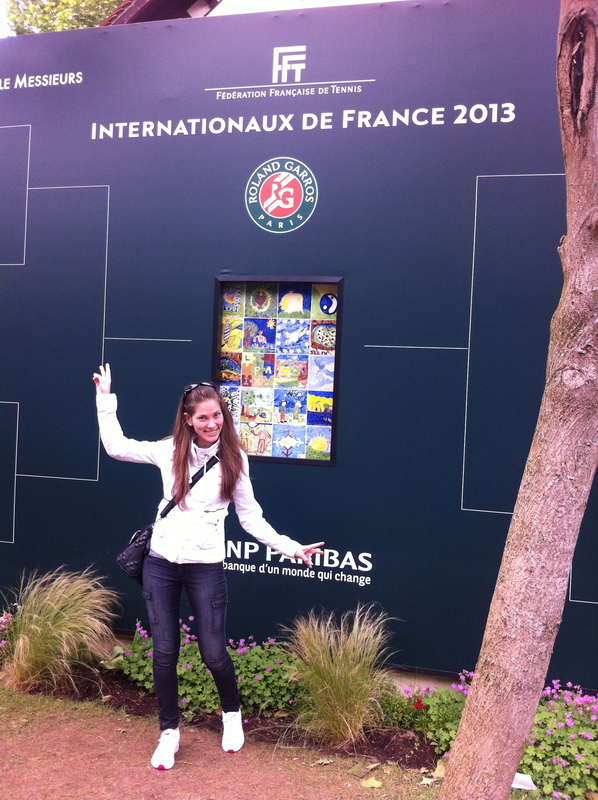 Since 2013 (since I live in Paris) I try to go to Roland Garros and see some games. I love tennis and the ambiance in the stadium. 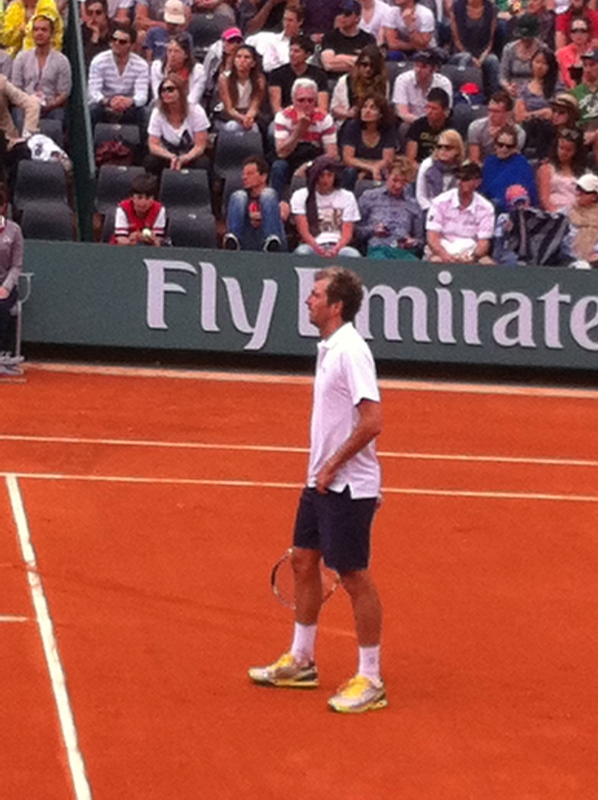 This year I missed the final Sunday match because I had the idea to go not anywhere else but to the Champs-Elysée. 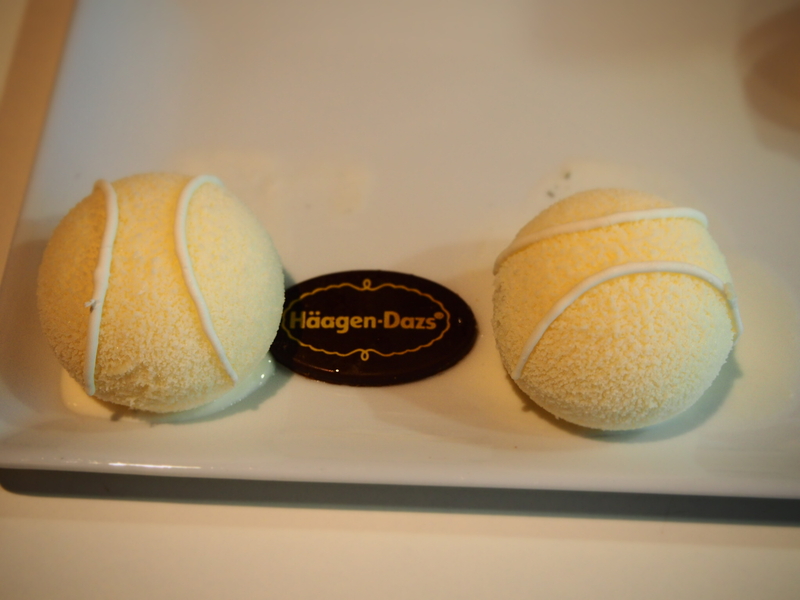 And this with the unique idea to try the limited edition ice-cream tennis balls at the boutique of Häagen-Dazs. I am a real ice-cream fan. I love all the varieties but my preferred one is Vanilla-Pecan nuts. 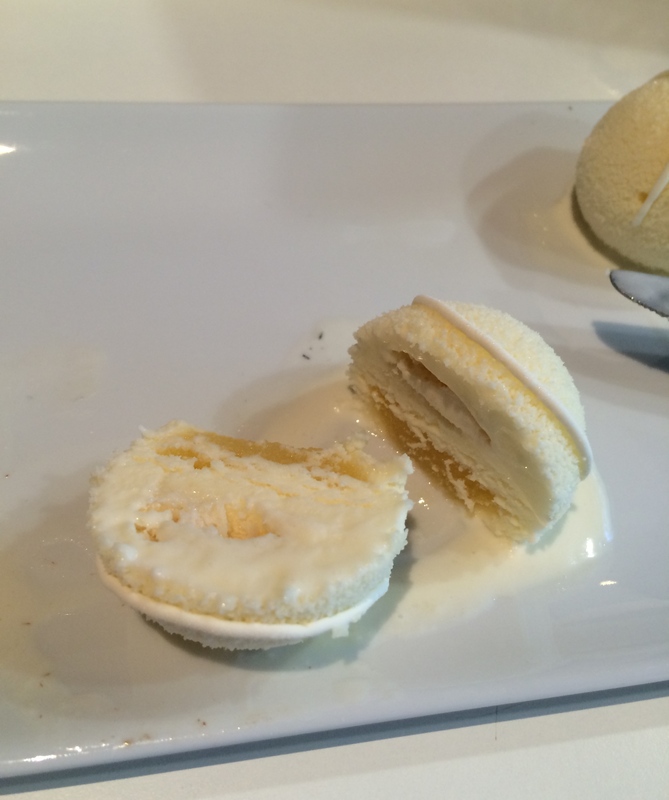 I should avoid I can eat only ice-cream. 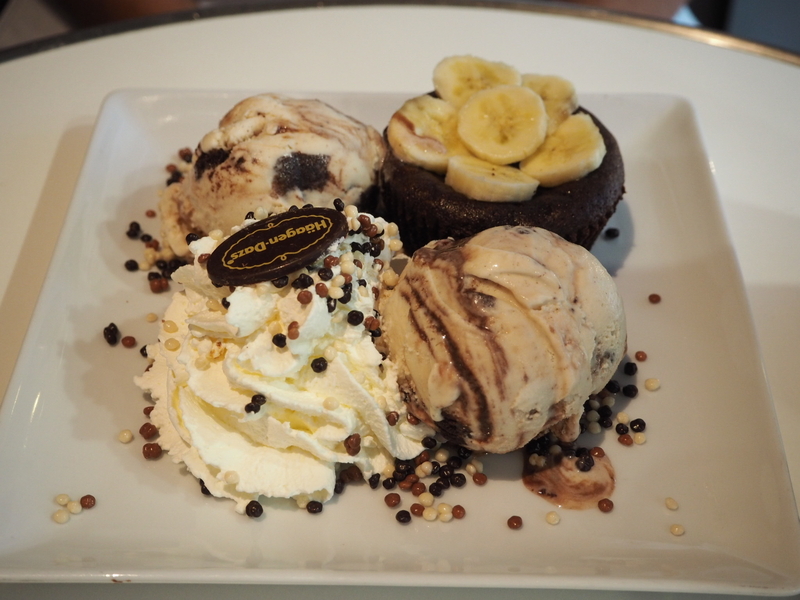 Several years ago I was addicted to chocolaté but now my addiction is to ice-cream. So, zero sugar challenge is definitely not for me. 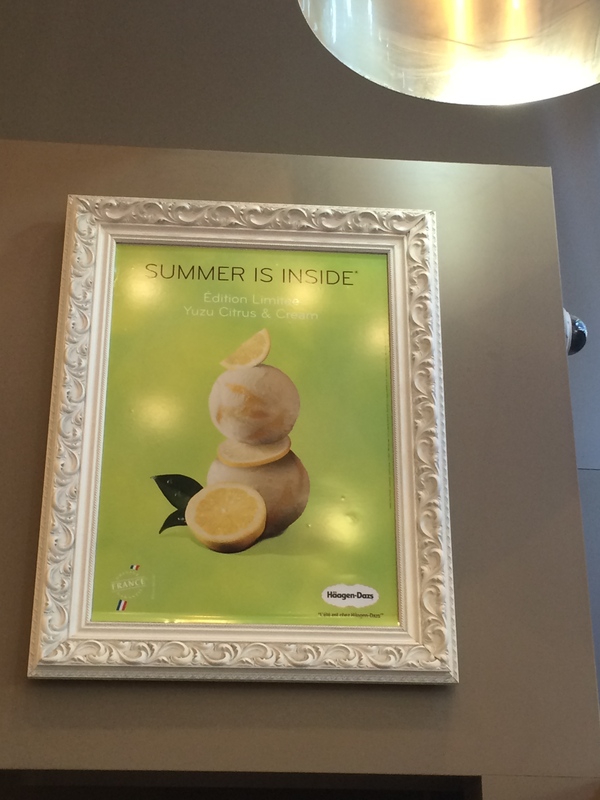 The limited edition of 3 ice-cream balls were available for the 2015 Roland Garros tournament. With special packaging for take away, I preferred try this delicious dessert on place. 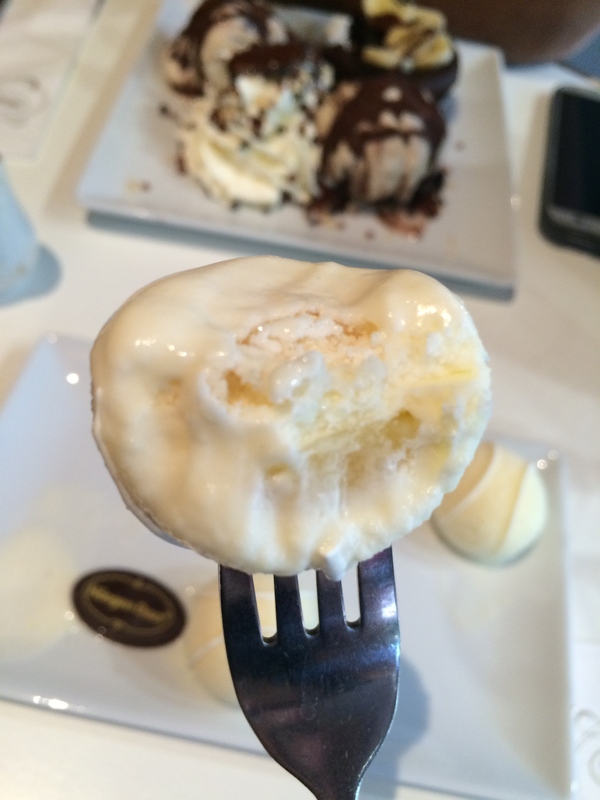 This light ice-cream was melting in your mouth, leaving you with the desire to eat more and more. Made of orange sauce and yuzu (the new star of the French pasrty confectionners), with a delicious French touch of macaron Inside. All of this decorated with white chocolate. For those who had not the chance to try it, you can still enjoy the Summer limited edition of Yuzu Citrus & Cream ice-cream available in the boutique. Nothing better to avoid the 39°C temperatures in France and Paris this week. Yuuuuuumy Makes me feel hungry!